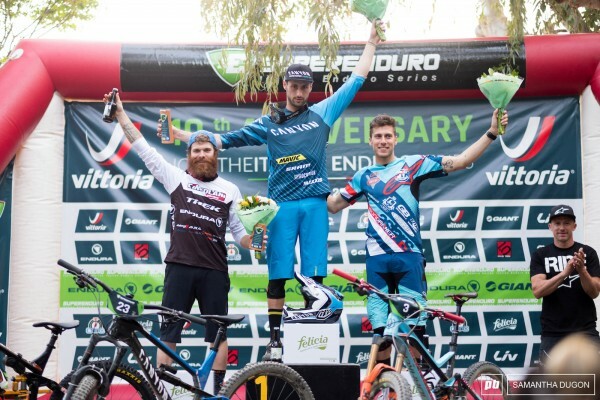 The first round of 2018′s Superenduro in Sanremo celebrated the beginning of the 10th anniversary season of the Italian Enduro Series, with the race being held in the same location where it started a decade ago. 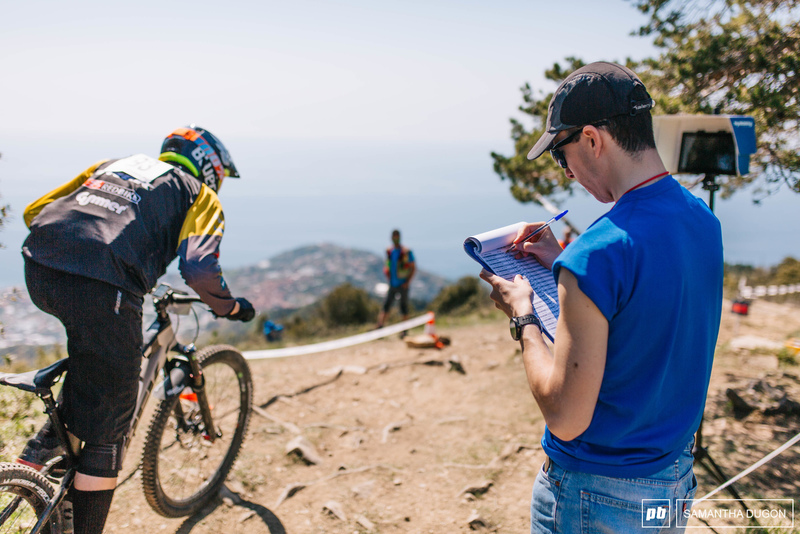 The opening round had drawn in nearly 400 riders to race on and around Monte Carparo, that overlooks Sanremo. Despite being an Italian national series, the race often attracts a wide variety of nationalities, and Sanremo was no different with riders from 14 different countries competing. The pits started filling up on Friday afternoon as teams, from near and far, headed to Villaggio del Fiori to camp and prepare for the weekend ahead. On the first day of official practice it became clear that the heat was what was going to set the field apart, with the majority of the non-Italian riders heading out early on Saturday for practice to avoid the blistering mid-afternoon temperatures. Some, however, had not expected the weather in the Liguria region to affect them so much and people could be found bouncing from one shaded spot to another whilst climbing to the next stage. 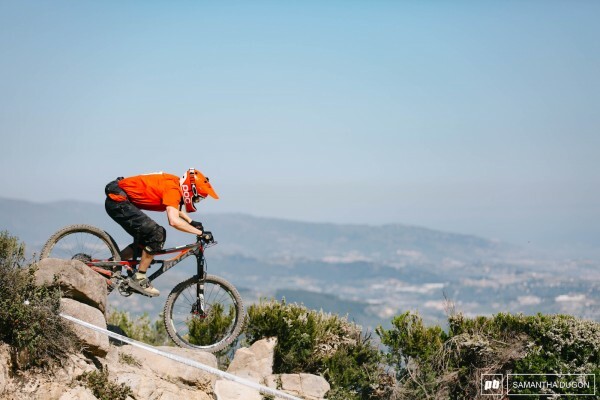 The weather not only affected the riders, its effects could also be seen on the trails too. With increased traffic during practice and the high temperatures drying out the ground, come race day conditions ended up very slippery underfoot with what felt like endless layers of dust and small rocks. With number boards in place, race chips cable-tied to bikes and rucksacks full of water and tools, it was time to head off for a day between the tape. The riders had a shuttle provided to winch them up to San Romolo where it would only be a short road climb before they reached the technical climb and push section up to stage 1. With plenty of roots, rock features and gullies and steep terrain, the climb to Stage 1 would certainly kick start any rider into the day. The descent of stage 1, with a 562m vertical drop, 3.6km length, was not too dissimilar to the route they had to take to get there, with rock gardens one after another. 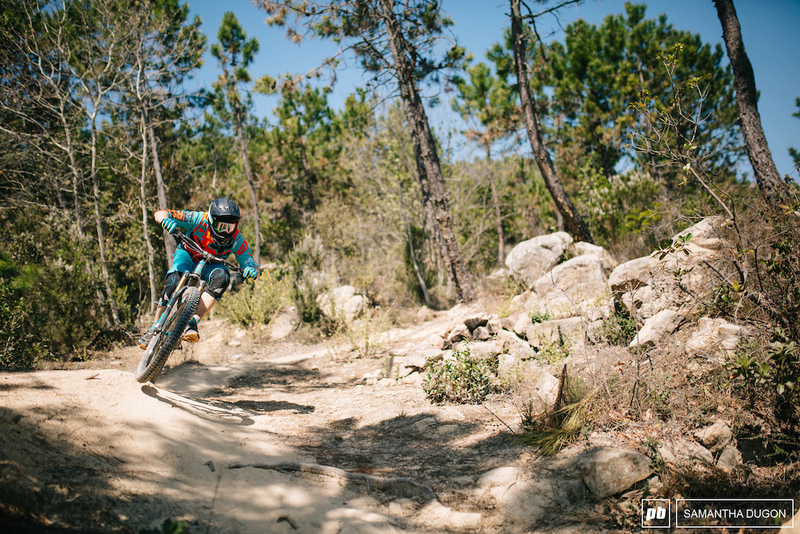 With relentless rock gardens smothered in dust, riders would have to keep their braking light. Stage 2 would be the shortest stage of the weekend, at only 1.3km and 243m vertical drop. On paper it sounds like a sigh of relief after stage 1, however, stage 2 wouldn’t give the riders any reprieve. Instead it was filled with technical root and rock sections planted between narrow trees and tunnels. The more gravity focused of the stages would be the aptly named “Supergravity.” With steep and flowing switchbacks to start, then a mountain road crossing followed by a sweeping and floating bottom section. It’s easy to see how this was Denny Lupatos favourite trails on the course. In case some of the riders didn’t feel tired after the first 3 stages, then stage 4 was there to ensure that no one came it with any spare energy. Mixed with rock slabs, narrow gullies and loose fire road sprints, stage 4s “Boulder Dash” was an all mountain stage, designed to test not only technical ability, but also fitness and concentration. With the allure to ease off and switch off on the fire roads instead of maintaining race-pace effort, it would be these sections that could make or break the results. 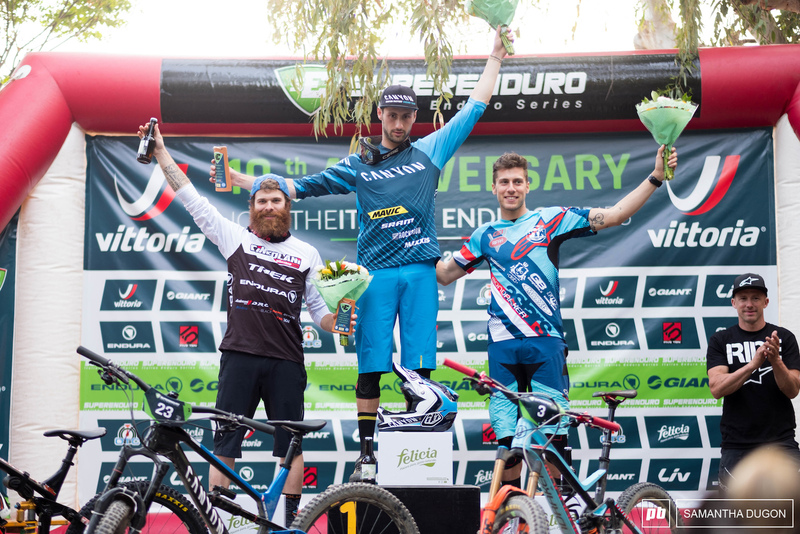 Canyon rider Florian Nicolai took the win in the Elite men category followed by Alex Lupato. The battle between 2nd and 3rd place was tight, with only 2 seconds separating Alex Lupato and Matteo Raimondi. The women’s race was a lot tighter than the men, with the top 3 spots all within 1 minute of each other. Italian rider Laura Rossin took the win, but not far behind was Norco Twins Racing rider Caro Gehrig, and Lapierre rider Chloe Gallean in 3rd. © 2018 Life Cycle. Tutti i diritti riservati.